Ask any professional goalkeeper, and they’ll tell you 2010’s Jabulani football was a nightmare to play with. Not only was it lighter than most balls, but it had a tendency to knuckle when hit a certain way, making it incredibly unpredictable—that’s why you often saw goalies jump awkwardly during saves, or bat at a ball with their fists instead of catching it. 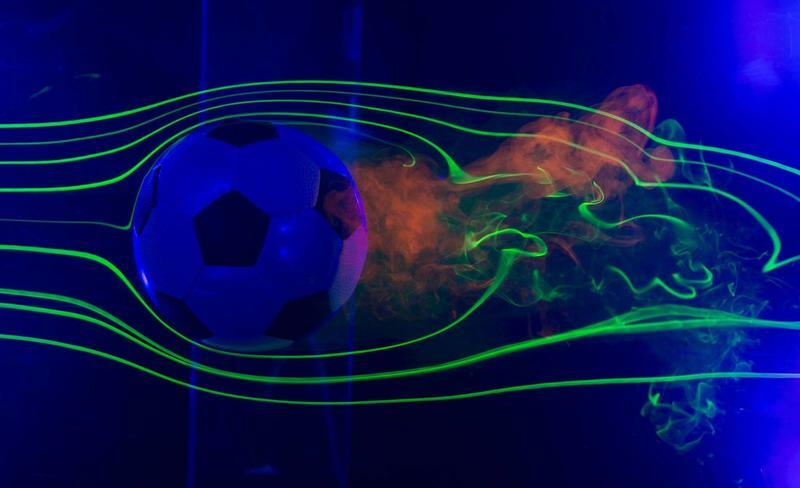 There’s a new ball, however, dubbed the Brazuca, and NASA of all places has done comprehensive tests to explain its aerodynamics. 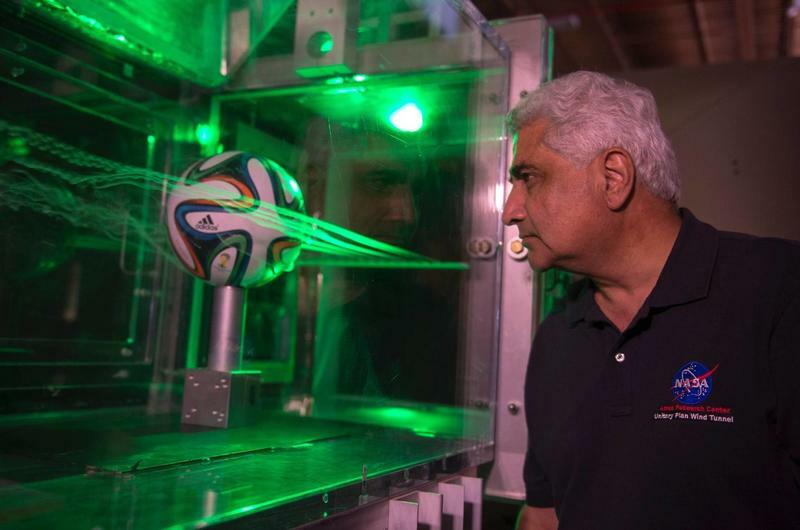 Using smoke, lasers and fluid boxes, NASA setup a test chamber to test out the Brazuca in an effort to better understand its aerodynamics. When the Jabulani came out, it used a unique eight panel design that was meant to improve aerodynamics, though players and later coaches criticized it because it was difficult to use. This year’s Brazuca actually employs a six panel design, though it has a longer total seam length, which run deeper in the ball. 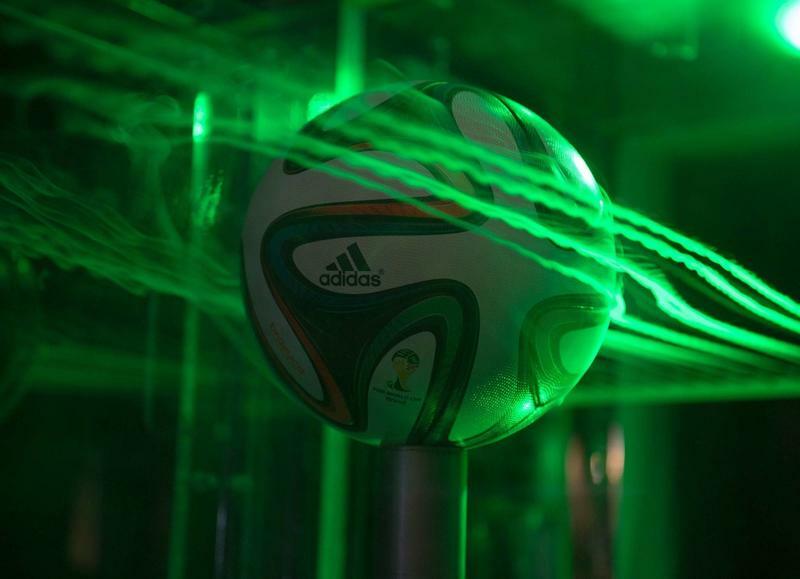 In addition, the Brazuca is covered with tiny bumps, which factors into the ball’s aerodynamics. It might not seem all that important at first, but the way a ball is designed has a pretty big impact on the game. Sure, Ronaldo will be Ronaldo, and Messi will be Messi no matter what ball they use. 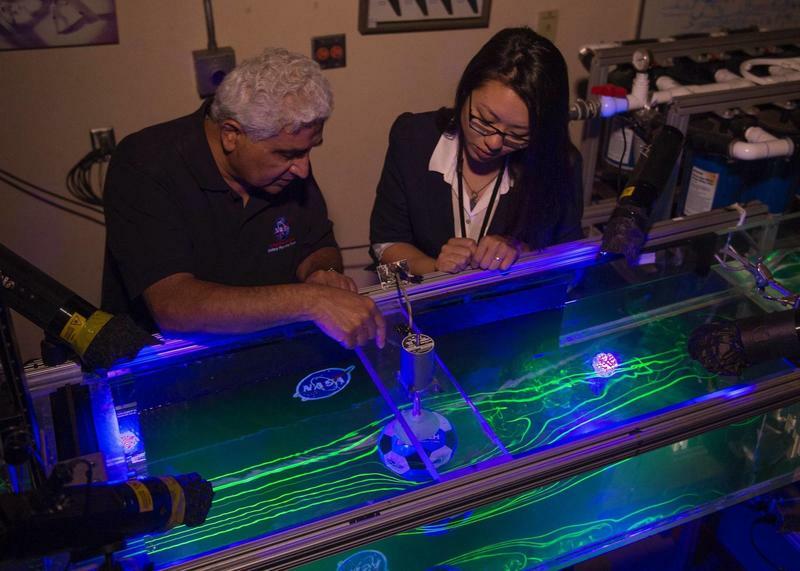 But, as described by NASA, the little bumps on the Brazuca are important because they’re analogous to a golf ball; a smooth golf ball travels much shorter distances than a regular dimpled golf ball because of the drag. The same goes for the new Brazuca ball compared to a traditional football with a 32 panel design. With the greater surface roughness, Adidas’ latest design should decrease the ball’s chances of being unpredictable like the Jabulani. NASA notes that the greatest knuckling for a traditional football is around 30 mph; the Jabulani cranked that up to about 50 mph, which is a speed many of today’s best professionals can kick the ball. The Brazuca brings the critical speed of increased knuckling down to 30 mph, which is much more manageable (in theory) for all those poor goalkeepers. We’re only two days into the 2014 World Cup, and there haven’t been any long-range goals just yet. But as more teams play, I’m sure there will be an instance where the ball does something crazy. If not, at least now we know why.